Exquisite inside and out! 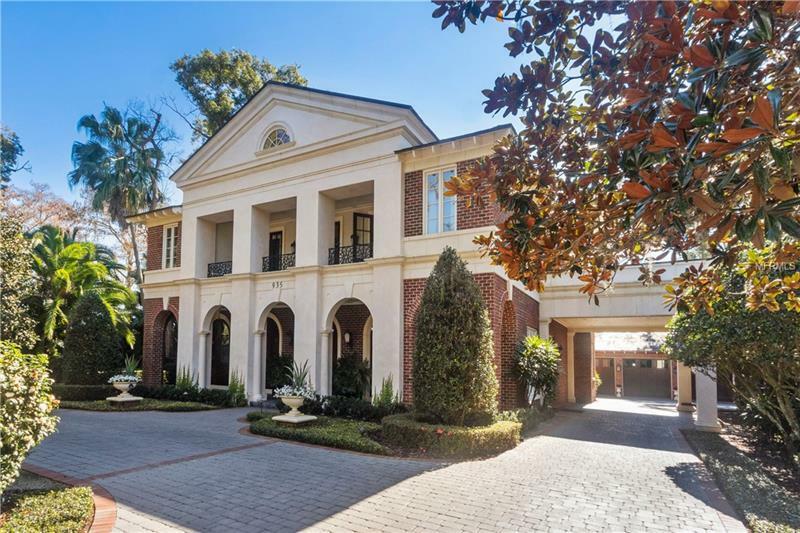 This magnificent Georgian-style estate home was meticulously constructed by Posada Custom Homes and is located in one of Winter Park's most desirable neighborhoods offering all the allure of fine lakefront living and just minutes from Park Avenueâs popular shopping dining and cultural gems. Situated on a secluded lot this residence enjoys a picture-perfect setting and views with 105 feet of shoreline overlooking the north shore of Lake Osceola part of the Winter Park chain of lakes. Superior craftsmanship and attention to architectural detail emanate throughout the 4975 SqFt of living space. This impressive property features an inspired layout starting with the exquisitely designed public spaces and continues throughout the rest of the home. The spacious ownerâs retreat features a balcony overlooking the lake customized walk-in closets morning bar gas fireplace and bath with luxurious fixtures and finishes. Two additional oversized ensuite bedrooms open onto a balcony and a third floor game room offers the perfect hideaway. Additional amenities include an elegantly appointed formal living room dining room with butler's pantry family room with fireplace and adjacent wet bar gourmet kitchen with custom cabinetry and top of the line appliances coffered ceilings extensive custom woodwork and built-in cabinetry stone and hardwood flooring slate roof copper gutters elevator salt water pool/spa boat dock summer kitchen whole house generator and a three-car garage.